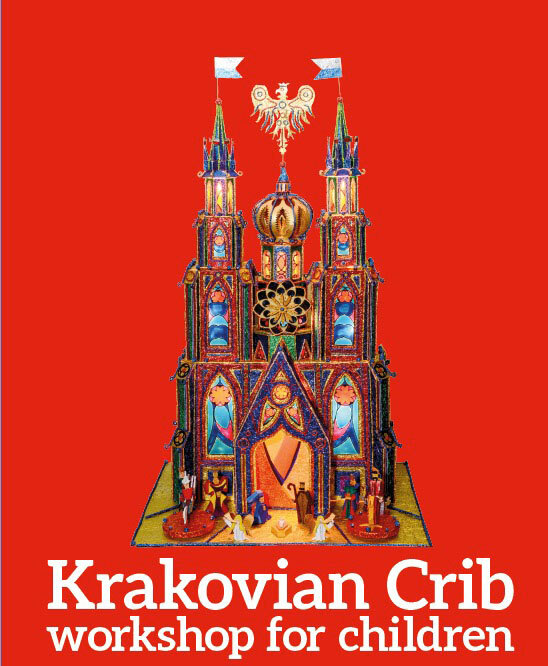 Come along and build your own Krakovian Crib, sing traditional Polish and British Christmas carols and taste some Polish festive specialities! The workshop will be led by architect and designer Andrzej Malik, whose famous family members have been creating traditional Krakovian cribs for four generations. Children will learn about the unique tradition of decorative crib making and enjoy an amazing Polish Christmas performance by Mrs Katarzyna Słota-Marciniec from Krakow. The singer will be accompanied by musicians playing historical Polish musical instruments. Free entry for all children with lunch provided. Children must be accompanied by a responsible adult. Parents are welcome too for suggested donation of £3 per adult. The workshop is designd for children aged 5-12, however both younger and older children are also welcome! The event is organised in collaboration with City of Edinburgh Council, Krakow City Council, Historic Museum of Krakow and Polish Festival Cultural Association. Krakow has been the partner city of Edinburgh since 1995. Workshop sponsored by the Consulate General of the Republic of Poland in Edinburgh. Lunch Funded by BEMIS Scotland via the ‘Year of Food and Drink 2015 / Winter Festivals’ small grants programme. This is a partnership between BEMIS Scotland and the Scottish Government to facilitate diverse, multicultural celebrations.